If you don’t have Ovi Music Unlimited, well, you don’t have Ovi Music! Well, I really don’t know what to say. I wrote about Ovi Store and that was it. I don’t know how to put it. I really don’t want to give an impression that riling Ovi services is the sole purpose of my blog! But then, I write about services and products which affect me, in a good or a bad way. A few days back, I was searching for the songs from Europe (don’t know how many of you listen to them, quite a good band though  ) in my neighbourhood CD shop but couldn’t find that. I vented it out on twitter. My good friend Richard (http://twitter.com/sheridan01 ) told me that those songs are available on Ovi Music. Well, I went there. I found the album. Yay!!!! Well, that’s exactly where this yay ended. There is NO WAY I can buy songs from Ovi if I don’t have a) Vouchers to redeem b) Ovi Music Unlimited. I couldn’t use that service at all. So what’s the point? You have Ovi Store but paid apps don’t work (they are imminent though) and you have Ovi Music which doesn’t let you download songs. In Short, you are kind of being punished for not buying a phone which comes with Ovi Music Unlimited. See this. 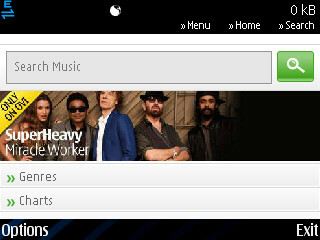 I log into my Ovi Music. Suppose I have to download Iron Maiden. I click on it. I click on download. Boom! Where’s the credit card option?? Where’s the operator billing?? 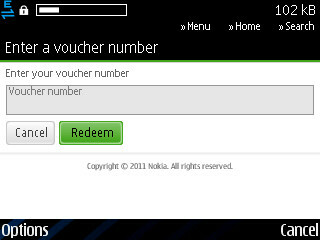 How the holy cow do I download songs if I do not have vouchers and if I use Nokia E72 and not a CWM phone? That killed it. Thankfully, Sajin (http://twitter.com/sajinseethi ) provided me with a link for http://7digital.com . One site I will recommend every audiophile to visit. Good collection. An ocean of songs. And what quality!!! Superb. Ok, well, this post is about Ovi Music or rather was. As a popular fruit company advertises its phones, if you don’t have Ovi Music Unlimited, well, you don’t have Ovi Music altogether. 3 Responses to If you don’t have Ovi Music Unlimited, well, you don’t have Ovi Music! Ha ha. Sadly, that’s what it’s looking like now. Services and Nokia don’t go hand in hand.